B cell acute lymphoblastic leukemia (ALL) and non-Hodgkin lymphoma (NHL) frequently express CD19, CD20 and CD22 on the cell surfaces. Immunotherapeutic agents including antibodies and chimeric antigen receptor T cells are widely studied in clinical trials. Several antibody-drug conjugates (ADC) have been approved for clinical use (gemtuzumab ozogamicin in acute myeloid leukemia and brentuximab vedotin in Hodgkin lymphoma as well as CD30+ anaplastic large cell lymphoma). Inotuzumab ozogamicin (INO), a CD22 antibody conjugated with calicheamicin is one of the newest ADCs. INO has been approved for treatment of relapsed /refractory B cell precursor ALL. Multiple ongoing trials are evaluating its role in the relapsed /refractory B cell NHL. This review summarized recent development in INO applications for ALL and NHL. The prognosis of adults with relapsed /refractory (R/R) acute lymphoblastic leukemia (ALL) and non-Hodgkin lymphoma (NHL) is still very poor [1, 2, 3, 4, 5]. With the increasing use of next-generation sequencing (NGS) and molecular biomarkers, early diagnosis and targeted therapy become possible [6, 7, 8, 9, 10]. It appears that NGS-based minimal residue disease (MRD) monitoring may better predict MRD relapse and lead to earlier intervention . B cell ALL and NHL frequently express CD19, CD20 and CD22 on the cell surfaces. Monoclonal antibodies (MoAb) against CD20 have been widely used for the treatment of multiple lymphoid malignancies [12, 13, 14]. Immunotherapy with bispecific antibodies such as blinatumomab against CD19 is being studied in multiple types of B cell malignancies [15, 16, 17, 18, 19, 20, 21, 22, 23]. Immune checkpoint inhibitors have also been approved for treatment of Hodgkin lymphoma . Chimeric antigen receptor (CAR) T cells are also being widely studied in clinical trials [25, 26, 27, 28, 29, 30, 31]. CD19 is the most commonly targeted surface marker in CAR T trials [32, 33, 34, 35, 36, 37]. CD20, CD22, and CD30 are also targeted antigens of CAR T cells in ALL and lymphoma trials . Tisagenlecleucel has been approved for R/R B ALL and diffuse large B cell lymphoma (DLBCL) [36, 38, 39, 40, 41, 42]. In addition, axicabtagene ciloleucel has been approved for R/R DLBCL [43, 44]. In addition to the above immunotherapeutic agents, conjugation of cytotoxic agents with monoclonal antibodies is an evolving field with the development of multiple targeted cytotoxic agents called antibody-drug conjugates (ADC) . These are being used and studied with targets across different malignancies (e.g. trastuzumab emtansine in breast cancer, gemtuzumab ozogamicin in acute myeloid leukemia and brentuximab vedotin in Hodgkin lymphoma as well as CD30+ anaplastic large cell lymphoma) [46, 47, 48, 49, 50, 51, 52]. 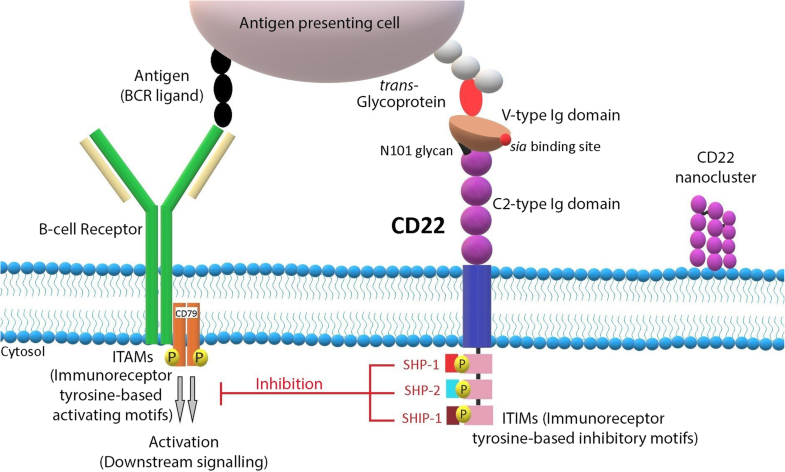 Inotuzumab ozogamicin (INO), a CD22 MoAb conjugated with calicheamicin is one of the newest ADCs in clinical application [53, 54]. INO has been approved for treatment of R/R B cell precursor ALL [55, 56, 57, 58, 59, 60, 61, 62, 63]. Multiple ongoing trials are evaluating its role in the R/R B cell NHL. This review summarized recent development in INO applications for B cell ALL and NHL. CD22 is an inhibitory component of the B-cell receptor (BCR) complex expressed exclusively in pre-B, immature and mature B cells but is lost upon differentiation to plasma cells [64, 65, 66]. It mediates negative impact on BCR signaling pathway by dephosphorylating the associated cascade components via protein tyrosine phosphatases [67, 68, 69] (Fig. 1). CD22 expression increases progressively along the pathway of B cell maturation. Raponi et al. reported CD22 expression among different subtypes of ALL as 83% of Pro-B, 96.4% of common B cell, 91.9% of Pre-B and 100% of the mature B cell ALL . In mature B cell lymphoma, its expression has been reported as 95% in chronic lymphocytic leukemia, 89% in diffuse large B-cell lymphoma, 98% in follicular lymphoma, 96% in lymphoplasmacytic lymphoma and 100% in hairy cell, mantle cell, marginal zone, splenic marginal zone lymphomas and monoclonal B-lymphocytosis . Hence CD22 can serve as a good target for therapy of B cell malignancies. Inotuzumab is a humanized IgG4 monoclonal antibody that binds CD22. It is conjugated via an acid labile linker to the cytotoxic chemotherapy, calicheamicin (N-acetyl-γ-calicheamicin dimethyl hydrazide). Calicheamicin is a potent cytotoxic antibiotic that binds DNA in the minor groove and causes double-strand DNA breaks leading to cell death . Binding of drug to CD22 receptor leads to its endocytosis and cytotoxic chemotherapy is released in acidic lysosomal environment with degradation of the linker. CD22 receptor is then recycled back to the surface and may play a role in augmented efficacy [73, 74]. CD22 monoclonal antibody (MoAb) with or without conjugation to calicheamicin has similar affinity to CD22 receptors on human B-lymphoma cells . In vitro studies showed enhancement of cytotoxic potency of calicheamicin by 1.5 to 39-fold when conjugated to CD22 MoAb against CD22+ B-lymphoma cell lines. INO (CMC-544) was noted to inhibit the growth of CD22+ human B-cell lymphomas grafted subcutaneously into the mice in a dose dependent manner. Half-life of CMC-544 is 35 h and was noted to be similar in both tumor bearing and non-tumor bearing mice. However AUC (area under curve) of serum levels in tumor bearing mice was noted to be 37% lower, suggesting absorption by targeted tumor tissue . Similar preclinical studies in mice with ALL cells and subcutaneous xenografts also showed that INO not only inhibited the growth of ALL xenografts but also prevented engraftment of ALL cells and development of disseminated disease in SCID (severe combined immune deficiency) mice [75, 76]. These results were also replicated in pediatric B-ALL cells with additional findings that efficacy (inducing apoptosis) is not dependent on CD22 expression and receptor saturation, in contrast to gemtuzumab ozogamicin . High expression of CD22 was reported to accelerate the response in comparison to low CD22 expression cell lines. Phase 1 dose finding study for Inotuzumab ozogamicin (INO) in CD22-positive R/R ALL was done with 1.2, 1.6, or 1.8 mg/m2 doses per cycle on days 1, 8, and 15 over a 28-day cycle . The recommended phase 2 dose (RP2D) was determined to be 1.8 mg/m2 (Table 1). ORR was 78% (59% CR) MRD negative rates of 52% (at time of morphological response) and 82% (at 3 months). Median RFS of 8 months. No DLTs. MTD of 1.8 mg/m2 confirmed in Japanese population. MTD of determined to be 1.8 mg/m2. Grade 3 to 4 thrombocytopenia (31%) and neutropenia (22%). SAEs of Pneumonia (4%), Sepsis (3%) and liver dysfunction (4%). No VOD. Grade 3 or more thrombocytopenia (75%); neutropenia (62%). One patient with grade 3 VOD. The safety and efficacy of INO were further assessed in phase 2 expansion cohort. INO was given as 0.8 mg/m2 on day 1; 0.5 mg/m2 on days 8 and 15; The dosage was lowered to 1.6 mg/m2 per cycle after complete remission (CR) or CR with incomplete marrow recovery (CRi). CR/CRi was achieved in 69% (CR 29%) with RP2D and MRD negativity was reported in 75% of this population (CR/CRi). Median progression free survival (PFS) in all treated population was 3.9 months and median overall survival (OS) of 7.4 months. Twenty-four out of 72 (33%) patients in total proceeded to allogeneic stem cell transplant (AlloSCT) and most of the patients were given fludarabine and/or total body irradiation (TBI) based conditioning regimen except one patient who received dual alkylator conditioning (cyclophosphamide, thiotepa, and fludarabine). Among these, 12 deaths occurred (2 died due to relapse/progressive disease; 7 died ≤100 days due to sepsis, graft-versus-host disease, venoocclusive disease and respiratory failure). Four patients developed venoocclusive disease (VOD), none of whom had received pre-study AlloSCT (Two patients experienced VOD during therapy or follow-up without AlloSCT and two developed VOD after AlloSCT) . INO has been approved by FDA for treatment of adults with R/R B-cell precursor ALL based on results of INO-VATE trial . This phase 3 trial compared INO given as 0.8 mg/m2 on day (D)1 followed by 0.5 mg/m2 on D8 and D15 (total 1.8 mg/m2 every 4 weeks) against standard chemotherapy in Ph-positive or Ph-negative refractory or relapsed B-ALL. Chemotherapy regimens included FLAG (Fludarabine, cytarabine and Granulocyte stimulating factor), cytarabine with mitoxantrone or cytarabine alone. This phase 3 study demonstrated that single agent INO led to a significantly higher CR rate than that in the chemotherapy group (80.7% vs. 29.4%; p < 0.001), and a longer CR duration (4.6 vs. 3.1 months; p = 0.03). Veno-occlusive disease (VOD) with liver function abnormality and weight gain was a major adverse event. Therefore, careful planning for INO therapy prior to AlloSCT is important to minimize VOD complications. It is generally advised that length of INO therapy should be limited. Longer spacing from end of INO therapy to AlloSCT is also being studied, such as adding blinatumomab as consolidation prior to AlloSCT [79, 80]. INO has also been studied in a phase 2 trial in combination with chemotherapy for R/R Philadelphia chromosome-negative ALL . It was combined with mini-Hyper-CVD regimen (miniHCVD) (cyclophosphamide 150 mg/m2 every 12 h on days 1–3, dexamethasone 20 mg/day on days 1–4 and 11–14, and vincristine 2 mg flat dose on days 1 and 8, alternating with methotrexate 250 mg/m2 on day 1 and cytarabine 0.5 g/m2 every 12 h on days 2 and 3 [55, 56]. INO was administered on day 3 of cycles 1 through 4. INO was given as 1.3 mg/m2 for cycle 1 followed by 1 mg/m2 for cycles 2 to 4 (the details of the schedules and doses were summarized in the tables of the reference ). Investigators started ursodiol 300 mg three times daily as VOD prophylaxis later as protocol amendment. Maintenance therapy was given as per POMP regimen (for details of the regimen, see references [55, 59, 81]). ORR was 78% (59% CR) with MRD negative rates of 52% (at time of morphological response) and 82% (at 3 months). OS rate at 1 year was 46% (mOS of 11 months). mOS was noted to be higher in patients treated as first salvage regimen (mOS approaching 17 months) compared to those receiving as second salvage regimen. VOD was observed in 6/26 (23%) patients who underwent subsequent AlloSCT and 3/33 (9%) in those who did not receive AlloSCT. All VOD cases had received clofarabine based conditioning regimens with or without busulfan. For patients who are candidates for AlloSCT, treatment with INO should be limited to 2 cycles of induction or the fewest number of cycles required to achieve a CR/CRi (if CR/CRi not achieved after 2 cycles) [55, 79, 80]. 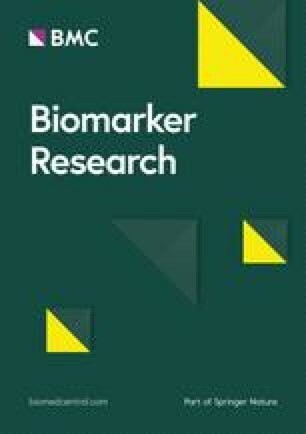 Preclinical Studies confirmed the potency and dose-dependent cytotoxicity of INO on CD22 positive B-lymphoma cell lines and anti-tumor efficacy in mouse models with B-cell lymphomas [72, 73]. When combined with rituximab, additive anti-tumor activity with superior efficacy was achieved in vitro on human B-lymphoma cell lines . Phase 1 studies of INO monotherapy determined maximum tolerated dose (MTD) of 1.8 mg/m2 every 4 weeks in humans with grade 3 or higher thrombocytopenia and neutropenia as the dose-limiting toxicities (DLT). VOD was reported in patients post autologous stem-cell transplant setting and those with prior history of VOD like syndrome [83, 84]. Phase 1/2 study of INO in combination with rituximab (375 mg/m2) every 4 weeks determined MTD of 1.8 mg/m2 every 4 weeks and showed ORR of 87, 74 and 20% in relapsed follicular lymphoma (FL), relapsed DLBCL and refractory B-NHL respectively. 68% of relapsed FL remained progression free at 2 years with median PFS of 17.1 months in relapsed DLBCL and 1.9 months in refractory disease . Thrombocytopenia (56%; 31% grade 3 or higher) and neutropenia (34%; 22% grade 3 or higher) were the most common adverse events requiring dose modification. Serious adverse events included pneumonia (4%), sepsis (3%) and liver dysfunction (4%). Similar phase 1 study with the combination of rituximab (375 mg/m2) and standard dose INO (1.8 mg/m2) every 4 weeks was studied in the Japanese population . Nine out of 10 patients experienced grade 3 or higher adverse events including thrombocytopenia, neutropenia, elevated liver enzymes and hypophosphatemia; 5 out of 10 patients discontinued treatment because of these adverse events. Overall respone rate (ORR) was reported at 80% (CR 60%). INO in reduced dose of 0.8 mg/m2 once every 3 weeks has also been studied in combination with rituximab- based chemo-immunotherapy regimens. Phase 1 study of INO in combination with R-CVP (Rituximab, Cyclophosphamide, Vincristine and Prednisone) determined 0.8 mg/m2 as MTD with DLT of reversible grade 4 neutropenia . ORR of 84% (CR 24%) was reported in MTD cohort along with median PFS of 14.4 months and median OS of 24.5 months (aggressive NHL; NR in indolent NHL). Another phase 1 study of INO (0.8 mg/m2 every 3 weeks) in combination with R-GDP (Rituximab, Gemcitabine, Dexamethasone, Cisplatin) reported ORR of 53% (CR 20%) in refractory/relapsed B-cell NHL with major toxicities of grade 3 or higher thrombocytopenia (75%), neutropenia (62%) and one case of VOD  (Table 1). VOD as seen with gemtuzumab ozogamicin has been reported with the use of INO in the setting of autologous or allogeneic transplant [55, 56, 57, 59, 63, 73, 85]. A retrospective study of 26 patients with refractory ALL received INO followed by AlloSCT. Conditioning regimens consisted of cyclophosphamide, clofarabine, fludarabine, melphalan, thiotepa and total body irradiation . Five patients suffered fatal hepatic VOD at a median of 23 days after SCT. In particular, patients who received conditioning with double-alkylating agents (e.g., high-dose busulfan and cyclophosphamide) may be at especially higher risk of VOD . Splitting INO dosage appears to be useful to minimize VOD [55, 56]. Incorporation of blinatumomab as consolidation in the miniHCVD -INO-blinatumomab regimen increases the time between INO and AlloSCT [55, 56, 59, 81]. This may further decrease the VOD risk. Single agent inotuzumab ozogamicin has shown higher response rates and longer duration of remission in direct comparison against intensive chemotherapies for R/R B cell ALL. Incorporation of INO into miniHCVD regimen appears to be effective with less toxicity. Although results from NHL trials have not been as encouraging, further studies are still ongoing (Table 2). Investigating lower dose level (1.2 mg/m2/cycle) for those with higher risk for liver toxicity or VOD. DL is a professor of medicine in the Department of Medicine, New York Medical. College and Westchester Medical Center, Valhalla, NY, USA. The study is partly supported by the First Affiliated Hospital of Zhengzhou University, Zhengzhou, China. DL and AA designed the study and drafted the manuscript. All authors participated in the revision of the manuscript. All authors read and approved the final manuscript.